Find us on Google+ Geek is the new chic: Dr Martens Factory Shop : LOVE! 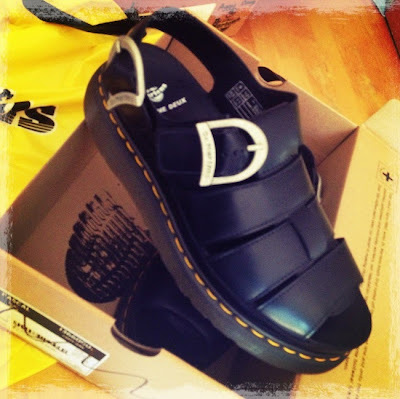 Dr Martens Factory Shop : LOVE! Now we might live out in the sticks where the sheep are loud and the internet isn't great, but we do live near the Dr Martens Factory Shop! We're regular visitors, it's like a traditional family day out for us and whilst I was working away today, Yan & Betty went shopping..... and didn't they do well?! 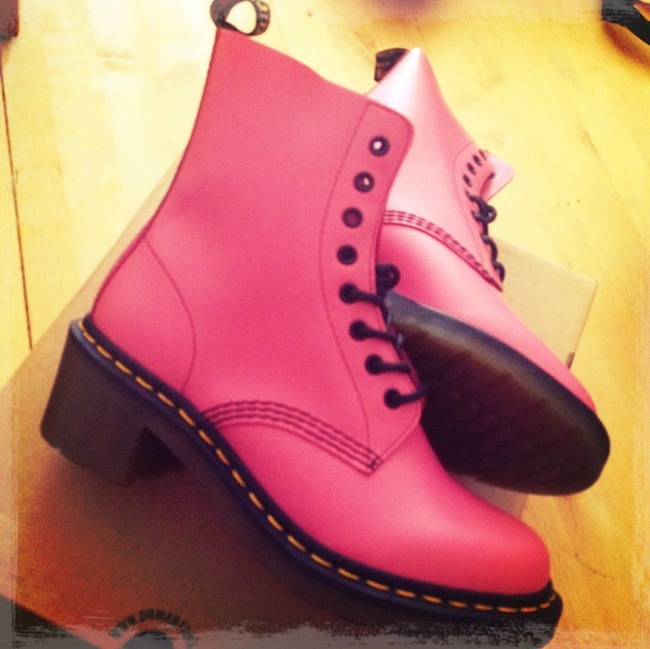 For me, a pair of Clemency Boots. I don't have any with this heel, so a new style for my collection. For Betty a pair of the lush Aggy Deyn Bow sandals. I bought Biba a pair of when they first came out and they didn't cost me £20! For Yan these fab Comme collaboration sandals. I can't find them online but today they were £20! Not a bad shopping trip I'd say.